Inflatable Tiki Bar – Makes every back yard party feel like a tropical paradise! Serve your guests in this vibrant 15 ft tall tiki bar! The colorful tropical graphics and vibrant palm trees provide a beautiful addition to your next party, while the solid vinyl roof provides shade to keep cool during the hot Texas summers. Rent our tiki bar today for your next backyard party, work event or block party! 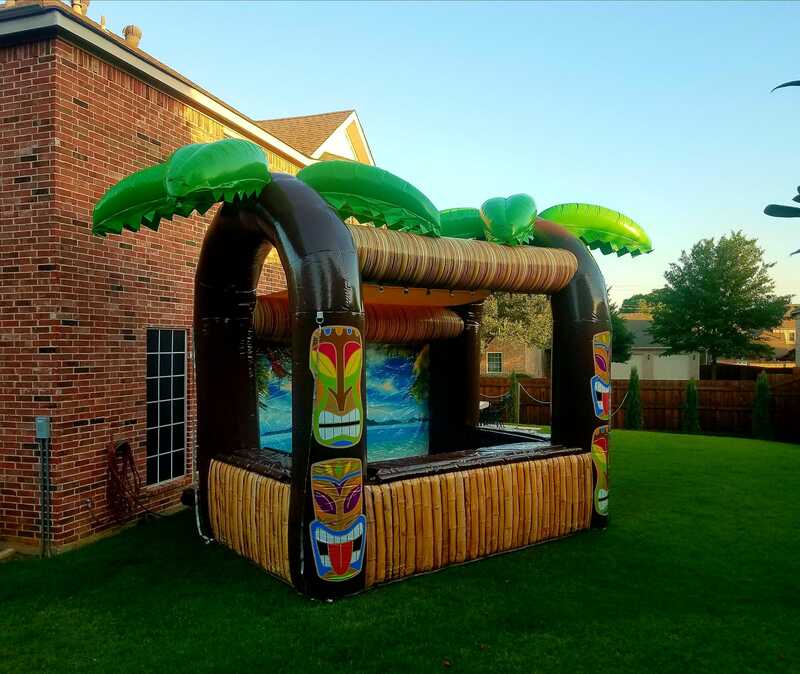 Create the ultimate tropical party experience by combining our 23 ft Tropical Dual Lane Slide or the Big Kahuna at your next backyard party or event!